According to country music icon Martina McBride, “Cooking is my love language.” “When I make something delicious, I want to share it, which is a lot like sharing my music with an audience.” In her new cookbook Martina’s Kitchen Mix: My Recipe Playlist for Real Life you’ll find your own invitation to step inside Martina’s kitchen and sample more than 150 of her favorite dishes, including her Smoked Gouda Pimento Cheese (page 63). Whip up her favorite Weekend Brunch menu, serving Cheddar Biscuits with Bacon (page 25), Baked French Toast with Pecan Crumble and Blackberry-Maple Syrup (page 32), and a Sparkling Grapefruit Mimosa (page 57). Say “cheers” to happy hour with a Blackberry-Lemon Gin & Tonic (page 40) while enjoying Whipped Feta Crostini with Roasted Garlic Tomatoes and Fresh Herbs (page 43) and Baked Olive Cheese Dip (page 78). Make memories during dinner while noshing on Chicken Braised in Sun-Dried Tomato Cream Sauce (page 166) and Smashed New Potatoes with Lemon (page 189). And when it’s time to indulge, go for Fresh Apple Cake with Homemade Caramel Sauce (page 222) or No-Bake Peanut Butter-Chocolate Cookies (page 232). There were lots of recipes in this cookbook I could have chosen to make. 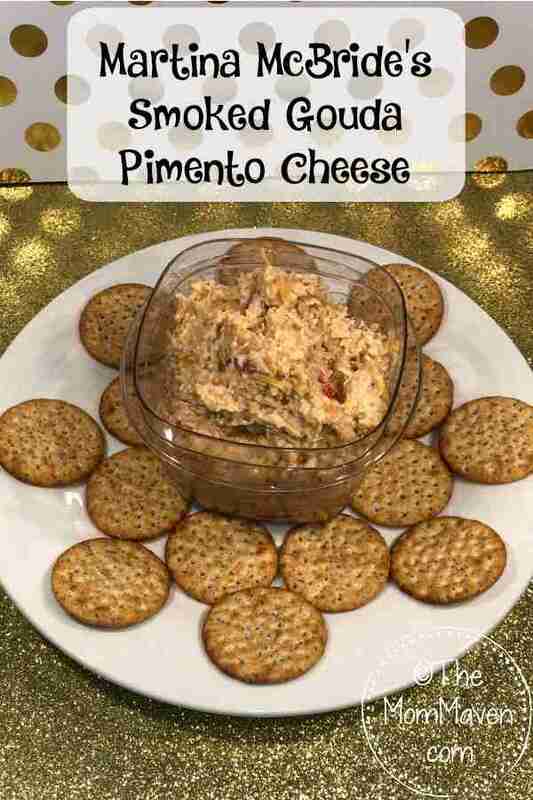 I decided to make the Smoked Gouda Pimento Cheese because I enjoy a good pimento cheese and I have never tried to make it before. This recipe came together so easily and was soooo delicious, I cannot wait to make it again. 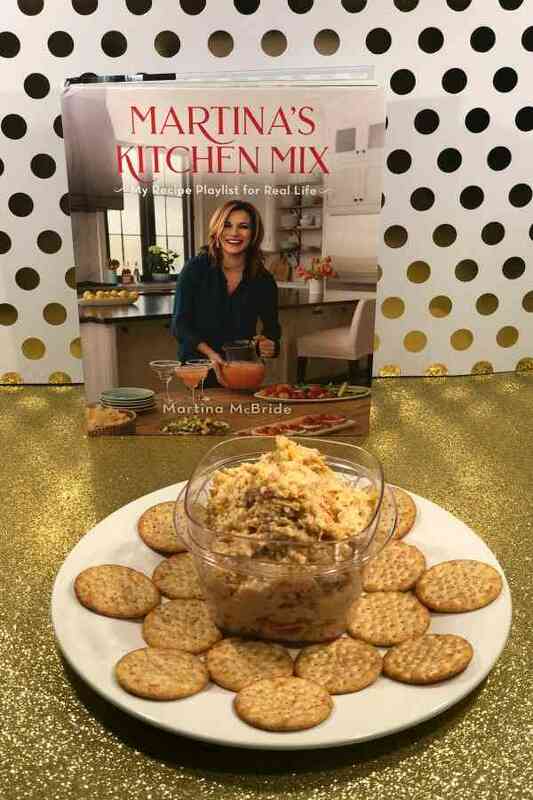 This recipe comes from Martina’s Kitchen Mix: My Recipe Playlist for Real Life by Martina McBride. Stir together the mayonnaise, pimentos, Worcestershire, garlic powder, and cayenne in a large bowl. Add the cheese, stirring until blended. Cover and store in the refrigerator up to one week. Don’t skip the step of rinsing your diced pimento. Otherwise it will be too salty. My favorite part of Martina’s Kitchen Mix: My Recipe Playlist for Real Life is that her recipes often include Ad Libs aka ways to twist the recipe. 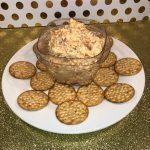 I made both, the smoked gouda pimento cheese spread recipe above, and the mac and cheese recipe below. 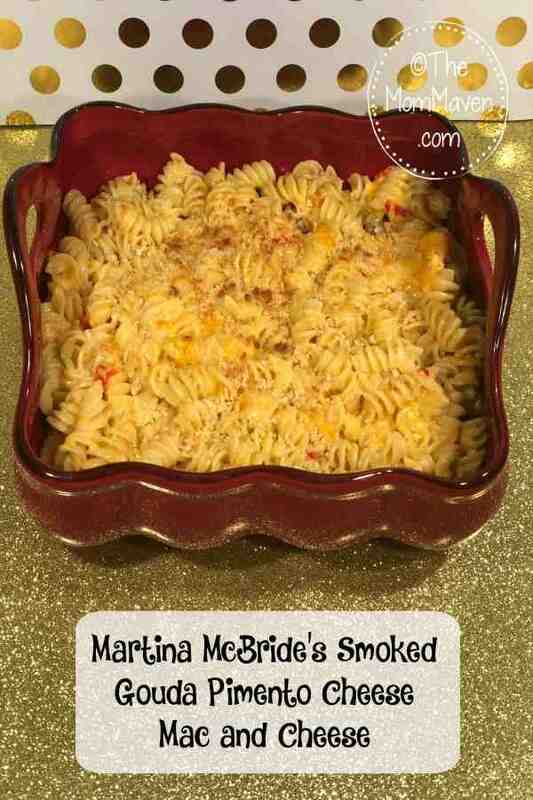 This is the Ad Lib to the smoked gouda pimento cheese recipe…use it for mac and cheese! Just spoon 2 cups of the cheese spread over cooked pasta (rotini or elbow macaroni works great), give it a stir, and broil for a quick and tasty man and cheese. I also added some panko breadcrumbs on top before broiling to give it a little crunch. It was delicious! Pick up your copy of Martina’s Kitchen Mix: My Recipe Playlist for Real Life to bring some new life to your meal plan.